What happens when two style legends join forces? Some of the most iconic dresses of all time, that’s what. Celebrity/designer collaborations are more common than ever and, let’s face it, they can be a little bit hit and miss (Lindsay Lohan for Ungaro, anyone?). With a new IT girl to consider almost every season, designers rarely stick with a single muse anymore. Likewise a lucrative new campaign deal can make even the best-intentioned celeb BFF reevaluate their allegiances. But once upon a time loyalty did trump cash and Audrey Hepburn’s commitment to her friend Hubert de Givenchy was unshakeable. 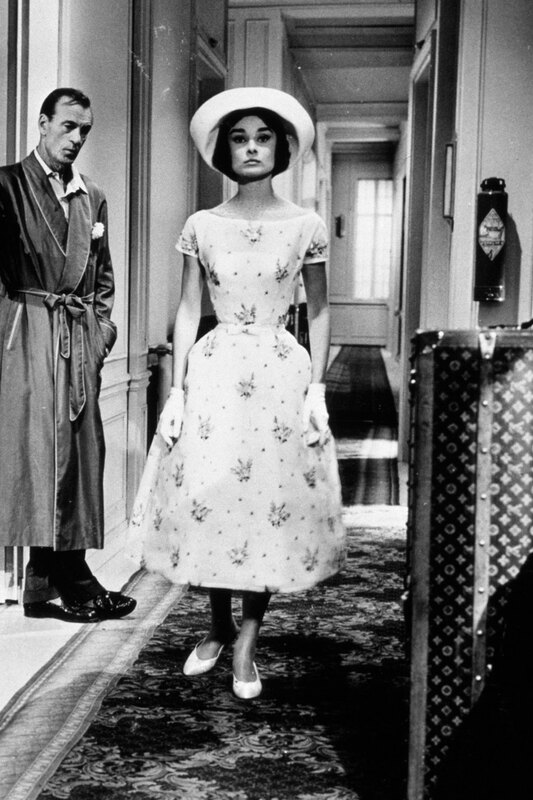 The two met when Hepburn paid a visit to the up-and-coming designer’s Parisian studio in 1954, in search of costume ideas for her next role, Sabrina. Hepburn found exactly what she was looking for and subsequently had it written into all future contracts that her costumes could only be designed by Givenchy. Well you would, wouldn’t you? ‘His are the only clothes in which I am myself,’ she would tell reporters in 1956. Their friendship became crucial to their respective successes – Givenchy utilized Hepburn’s audience, taking creative risks and starting major global trends, while Hepburn, for wearing the new ideas, was declared a style icon and tastemaker. The pair even created the world’s first celebrity fragrance, L’Interdit (The Forbidden) in 1957. 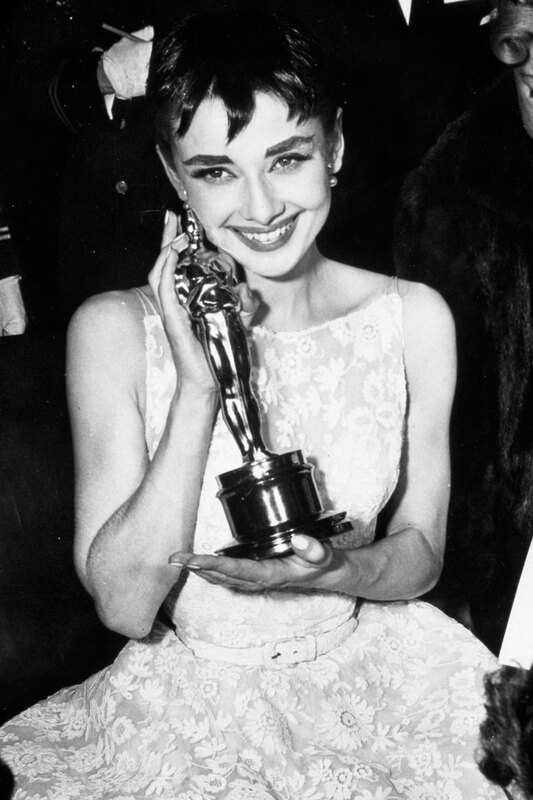 Audrey won best actress for her first major film role, as Princess Ann in 1953’s Roman Holiday. To collect the gong, she recycled her costume from the film, asking her new friend Givenchy to alter it for the red carpet. For their first official film collaboration, Givenchy knew his sketches needed to impress. The result? 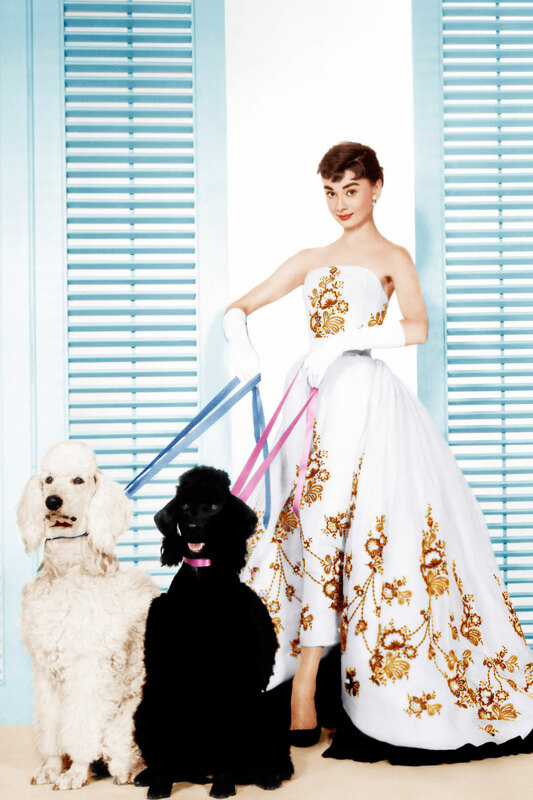 A whole wardrobe of stunning costumes from embroidered organza evening gowns to Hepburn’s second most famous LBD – the one that launched a thousand bateau necklines. 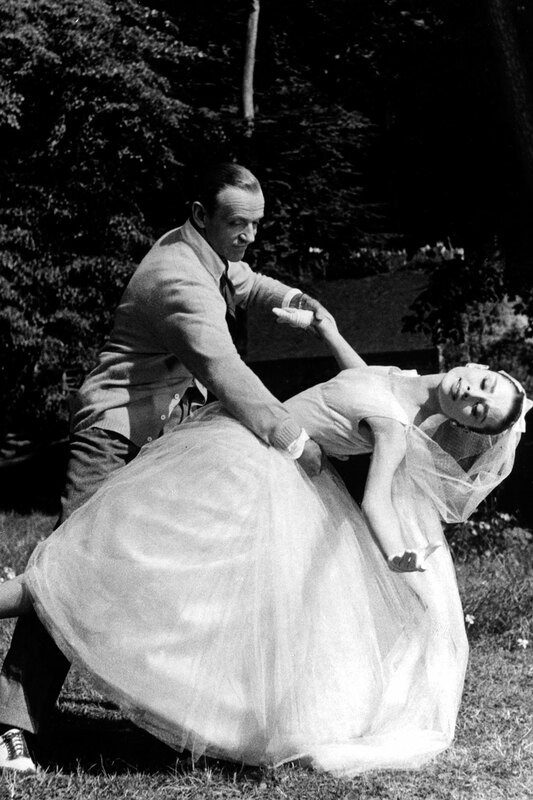 Givenchy’s next bright idea, a super-modern tea length wedding dress for Audrey’s fashion-forward character Jo Stockton was another hit. Said dress becomes the shape du jour at all late 50s weddings. 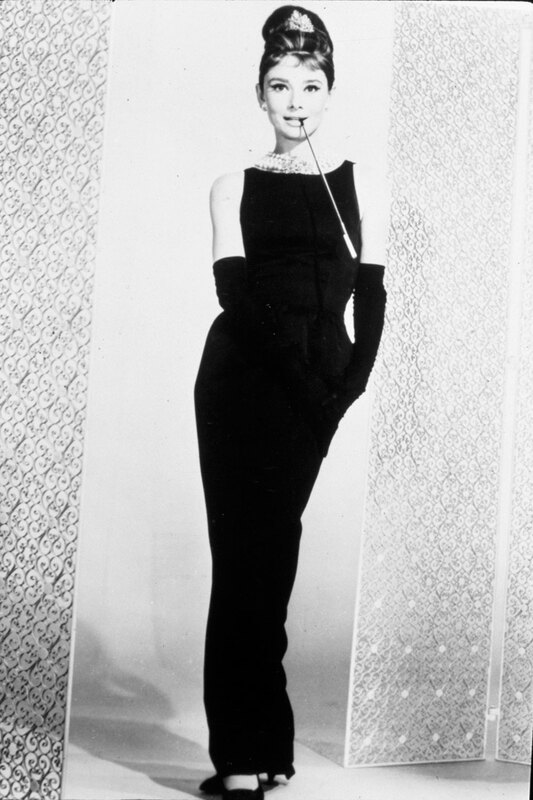 Holly Golightly’s little black dress is a Hollywood icon in its own right. The look that launched a million LBDs, Givenchy accessorised Hepburn’s character with oversized sunnies, strings of pearls and elbow length black silk gloves – the new definition of chic. In 2006, the dress sold for £467,200 at a Christie’s auction in London, the highest price ever paid for a cinema costume. 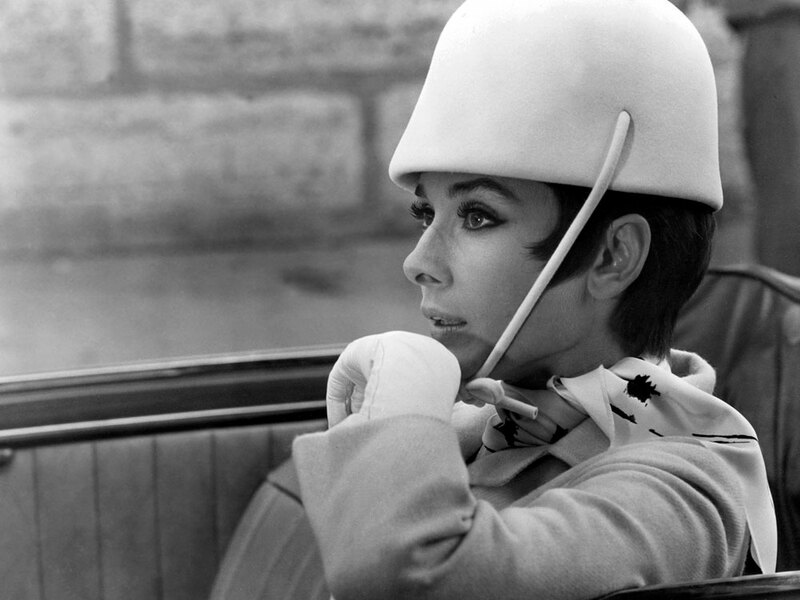 Paramount Pictures gave Givenchy $30,000 to design costumes for Audrey’s character. He creates the perfect 60s mod look – little white dresses, round sunglasses and a plethora of pillbox hats.